I have never read the book, so I'll admit that right from the start. This is a film that is packed with symbolism, but it isn't difficult to understand. The fact that there is so much symbolism means you'll be thinking about it long after you've left the theater. As a preface, this story is being told to a writer by adult Pi Patel and he claims his story will make him believe in God. His story begins with young Pi growing up in Pondicherry India, where his family owns a zoo. He is very interested in religions but won't limit himself to one. He learns and follows not just Hinduism, but also Catholicism and Islam, much to his family's dismay. They tell him he cannot follow more than one religion. This film is part adventure film, but at it's heart it is very much about religion, but I'll get into that a bit more later on. Long story short they are running out of money and decide to move to Canada, by way of a Japanese cargo ship, to sell some of their more valuable animals. As you no doubt realize, there is a storm during which their ship sinks and Pi finds himself the lone human survivor adrift on a small boat in a vast ocean with no land visible in any direction. He isn't completely alone, he has the company of an injured zebra, an orangutan, a hyena and a ferocious tiger that goes by the name of Richard Parker. It doesn't take long before the animals finish each other off and Pi is left with only the tiger. The presence of the tiger pushes Pi to work hard to not only provide food for himself, but the animal he cares about as well. It is also necessary for him to establish a relationship of sorts with the tiger. It's remarkable that the presence of another person/animal to think about can help in a survival situation, because it's true anyone would fight harder for survival when they know they are not the only one trying to survive. I don't want to spoil the ending for anyone, but sadly that's where I take issue with this story. Eventually Pi finds himself washed up on the shore of Mexico watching the tiger run away never to be seen again. He's survived, and now some men from the Japanese company who owned the ship want to know why and how the ship sank. 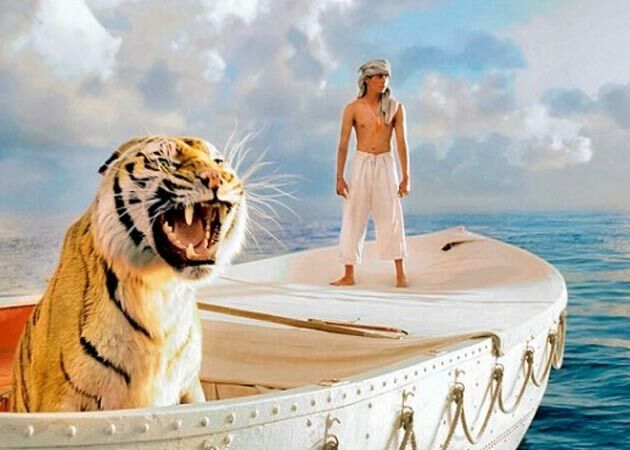 After hearing his story they don't believe him, they want to hear a story that sounds more believable because who could believe his story of surviving on a boat for 227 days with an adult Bengal tiger? Well, he tells them a different story after which they realize that neither story really helps them explain anything, so Pi asks them which story they prefer. They say they prefer the story with the tiger. Then comes the bombshell Pi has been waiting to drop, "So it goes with God." There are two possibilities either Pi's story is meant to make you believe in God simply because you prefer the remarkable story "with a tiger in it" to the one that is easier to believe or the second possibility is that he's saying all religions are the same but you pick the one you like best or just the parts that appeal to you based on which story you prefer. I don't agree with the second point, and I'm not sure there are many who would, but the first one most likely won't lead anyone to any sort of profound faith. If that is simply the jumping off point for you and it leads you to real faith in God then it can be a good thing, but I can't help but feeling that the reasoning behind it is weak at best. 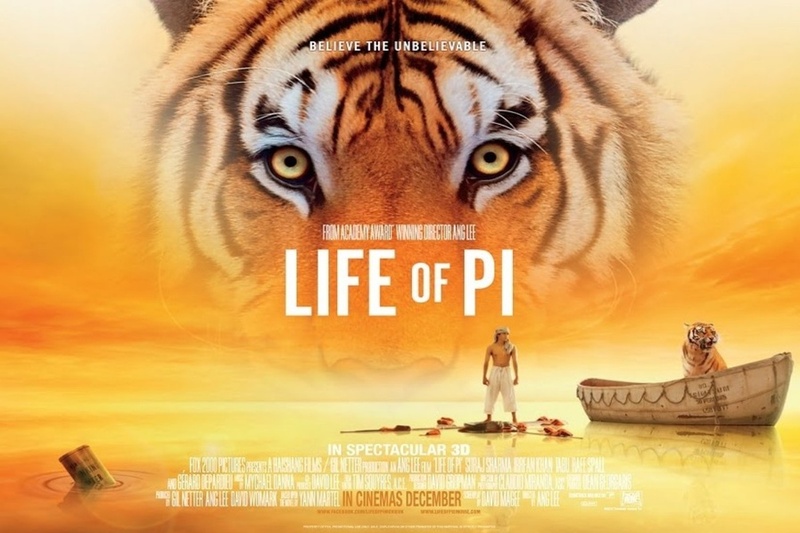 "The problem with Life of Pi, though, is not so much that Pi embraces pluralism properly speaking (he doesn’t), but that he chooses from religions in accordance with his own preferences... For Pi, then, the specific distinctiveness of each religion collapses and, ironically, flattens out in their collective function as a signal to some unnamed Better Story... But the problem, to try to put it more starkly, is that the focus of authority for these anthropological “signals” — specifically, religious and literary significance — resides with Pi’s preference. So he may have met Christ and even enjoyed His presence, but he also seems to have overlooked Christ’s claim to be “the way, the truth, and the life,” and that “no one comes to the Father but by me.” To be clear, I’m not advocating that the story has to be explicitly or identifiably Christian. Rather, I’m suggesting that lumping together aspects of specific religious traditions in accordance with humanity’s preferential sense of the Good ironically limits the potentiality of our knowing God and His Story. There’s a subtle implication that too much dogma means that we have to submit to an authority higher than our preference, and thus run the risk of missing the better story. But what if our sense of the better story isn’t initially or consistently or persistently trustworthy? And what if the dogma of a faith tradition has inbuilt acknowledgement of vast mystery? Ultimately, the best question we can ask ourselves within the film’s frame of reference is “which story do you prefer?” It’s not meant as a wholly relativistic line and it’s a mistake to conceive of it as such; that we prefer (or collectively know we ought to prefer) the better story is itself a signal that the better story is the True Story." I'm going to paraphrase one of the comments to his post and say that, what I find to be the problem with the film is likely indicative of a culture who, in the pluralist world we live in, find it difficult to affirm any one particular story with finality, or conversely, to discredit any particular story (thanks to Daniel for that).